Knoxville’s City Council was confronted with a real stumper last month: A franchise called Pour Taproom was asking for a beer permit, but this was not your average bar. The taproom runs on a self-serve model with patrons pulling their own brews, a model that’s never been offered in Knoxville before. Or has it? While Pour Taproom is the first beer establishment to offer a self-serve model, drink., the wine bar adjacent to Bistro by the Tracks in Bearden, has offered self-serve wine for years. The city’s beer board issues beer permits within city limits, and wine permits are issued by the state. Beer board chair Brenda Palmer and beer board attorney Rob Frost both said they were aware of drink., but the beer board’s current permits don’t cover self-service. That’s all about to change, though, as Knoxville City Council and the beer board craft a new ordinance, based at least in part on the Pour business model and the limits the self-serve technology imposes on Pour’s guests. Pour Taproom’s Joel and Mariah McLead moved to Knoxville from Asheville in pursuit of a dream: to open a fun, thriving business with friends Sam Natour and Caitlin Riley. They hadn’t finished unpacking their U-Haul before Joel was called to appear before Knoxville City Council Jan. 17, to defend that business and its self-serve concept. The Pour Taproom franchise was founded by Nate Tomforde in Asheville using computerized taps created by iPourIt, Inc. Pour also has locations in Greenville, S.C., and Santa Cruz, Calif. 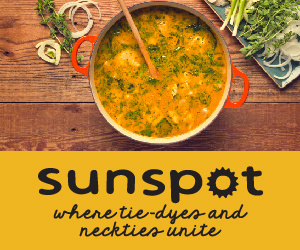 The Knoxville location is currently scheduled to open in April or May in the Old City’s Jackson Terminal. The friends come from different walks of life, but they have all spent part of their lives in Asheville, where the craft beer industry thrives. Riley, an Asheville native, has a background in mental health with a specialty in substance abuse. Natour is the son of Pete Natour, whose restaurant Pete’s Coffee Shop is a keystone of downtown Knoxville. He comes from a business background, with an undergraduate degree in logistics and marketing and an MBA from the University of Tennessee. The McLeads have both worked in the food-service industry, with Joel having earned his craft-beer chops with the likes of Highland Brewing Company in Asheville and Oskar Blues in Brevard, N.C.
After discovering Pour Taproom in Asheville, the friends were fascinated by the self-serve concept and thought about opening their own bar, but decided to stick with Pour’s franchise opportunities. The concept works like this: patrons are greeted at the door by a Pour employee who scans their IDs and credit cards and issues each patron a wristband. When a patron approaches the taps, the wristband activates the taps, allowing the patron to pour anywhere from a taste to a full glass, and charges the credit card only for that amount. That technology has a flipside: It automatically cuts a patron off at two glasses of beer, about 32 ounces. The patron must talk to a Pour employee before he or she is allowed to continue drinking. But, while that technology is a draw for first-time visitors, Joel says it’s more of a “gimmick,” and isn’t the business’s focus. Pour is more of a tasting room than a bar. With 50 beers on tap and another 16 taps featuring cider, mead, and wine, Pour is about having the flexibility to try something new without committing to a whole pint. It was Knoxville’s growing craft beer industry drew the four friends back to Natour’s hometown to start their own Pour Taproom franchise. Pour Knoxville’s co-owners hope to help that industry continue to grow in Knoxville by giving patrons an opportunity to taste local brews, then refer them back to the brewery their favorites came from. And that’s where Pour’s beertenders come in. Pour customers won’t be going it alone. According to Joel the self-serve tech isn’t an excuse to keep staff costs low. Beertenders (who will make a living wage plus tips, not just $2.13 plus tips, he says) will guide customers through the beer-choosing process like docents at a museum, helping them find new beers to fit their tastes. But customers serving themselves alcoholic beverages is not altogether new to Knoxville. drink. at Bistro by the Tracks opened in Bearden in 2012. Lana Shackleford is a manager at drink., whose parent company is Aubrey’s. She says drink.’s self-service wine machine promotes the same taste-and-explore atmosphere as Pour’s taps. Shackleford calls the self-service wine machine a “social experiment,” which encourages people to mingle and discuss the wine. As with Pour, drink. patrons can choose a taste, a half glass, or a full glass of each wine. But does self-serve lead to over-drinking at drink.? Shackleford says no. Pour Taproom Knoxville’s co-owners feel the same way about their potential clientele. Even though Knoxville is a college town, their target audience, and the patrons of other Pour locations, tend to be around 35 years old, drinking to taste beer, not to get hammered. And that’s the way the business is set up. No one gets in the door who isn’t 21 or accompanied by a parent or guardian. “You can’t just say, ‘I’m here for the food,’” Joel says. An employee can allow a customer to drink more than two glasses during a visit, but via computer the employee has access to everything the customer has purchased and when they purchased it, including whether or not the customer has eaten food or had high-gravity beer. The co-owners say this helps the employees make more informed, considered decisions than other bartenders might. And while Frost and Palmer both say the Pour model seems responsible, they are concerned that future self-service bars might be less so. “A lot of laws exist or are designed to address people who aren’t as caring or responsible,” says Frost, adding that in his research he found self-serve beer establishments that allow up to 50 ounces per person at once. “We need to develop some standards to make sure it is consistent,” Palmer says. Palmer adds that overdrinking and public safety is always a concern of the beer board, but they also don’t want to block economic development. The Pour co-owners say Knoxville’s City Council members have treated them fairly. Riley says the Pour co-owners would like to give input on the ordinance change if possible, and they’re open to questions or comments. They’re ready to comply with whatever regulations the city creates. Frost says the new permit to allow self-serve beer is being drafted and is not on City Council’s agenda yet. Optimistically, he says it may be on the agenda for the last meeting of this month. Otherwise, it will probably be next month. “It’s our desire to have everything wrapped up before (Pour’s) opening,” he says. 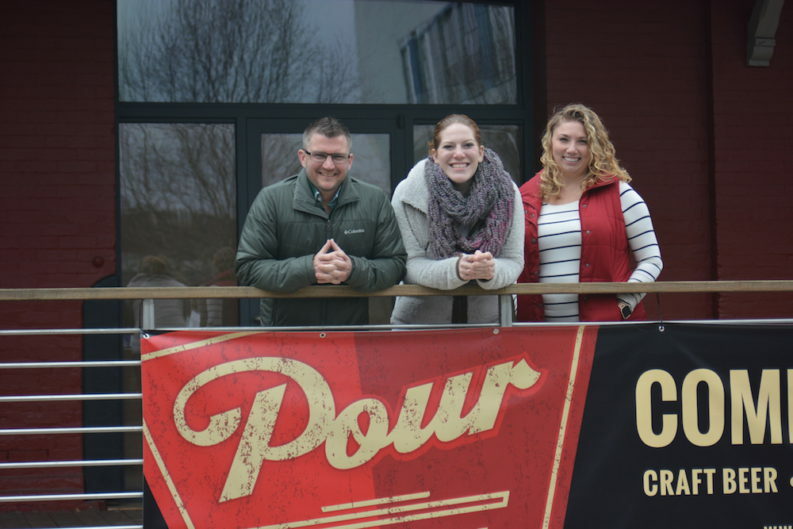 Featured Photo: Pour Taproom co-owners Joel McLead, Caitlin Riley and Mariah McLead stand outside their future location in Jackson Terminal in the Old City. The self-serve craft beer tasting room is set to open in April or May 2017. Not pictured is co-owner Sam Natour. Photo by Shannon Carey. Shannon Carey started writing for the Halls Shopper-News in the summer of 2005, covering everything from lost chickens to government scandal. She wore a lot of hats at the Shopper, including associate publisher and sales manager. 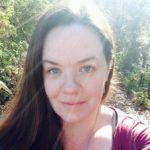 After getting downsized in December 2015, she opened her own freelance writing business and dubbed herself The Plucky Pen. Find her website and blog at thepluckypen.com.